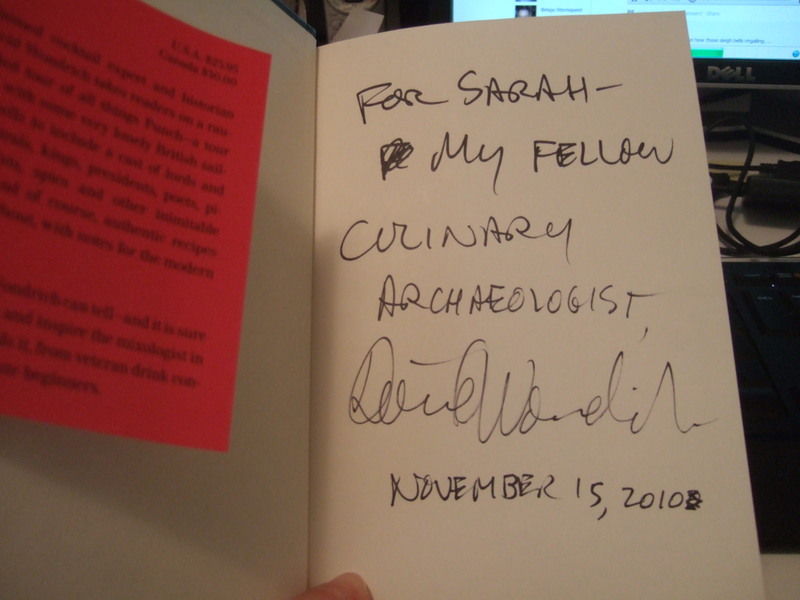 My brother was sweet enough to get me this signed copy of David Wondrich’s new book Punch. I also received Twain’s Feast and Food of a Younger Land. So I have a nice stack of culinary history nerd reading. Merry Christmas to all my Christian and secular homies! Update: I aslo recieved this amazing t-shirt. Thanks, Bryan!